We are handed headphones as we walk into the theatre, that I test as I wait for the show to start. The music is a cheerful, nondescript jazz piano piece. 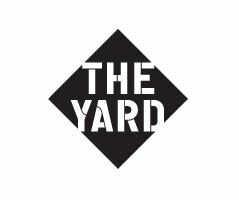 The Yard’s stage has been divided into three in a box-like setting designed by Ingrid Hu. Stage right a living room, neat and clean, centre stage an airplane, and stage left a gauze box that is being projected upon. Lisa is going on a business trip. She is leaving her house, her beautiful house, in the care of her dad who, on the morning of her departure, has managed to fill her with “active disgust”. After interactions like this she likes to imagine unscrewing her head and replacing it with a different head so that she can see through different eyes. She is on her way to a country whose habits she has studied in great depth, but suspended above the ground, she is delivered some terrible news about her life back home. 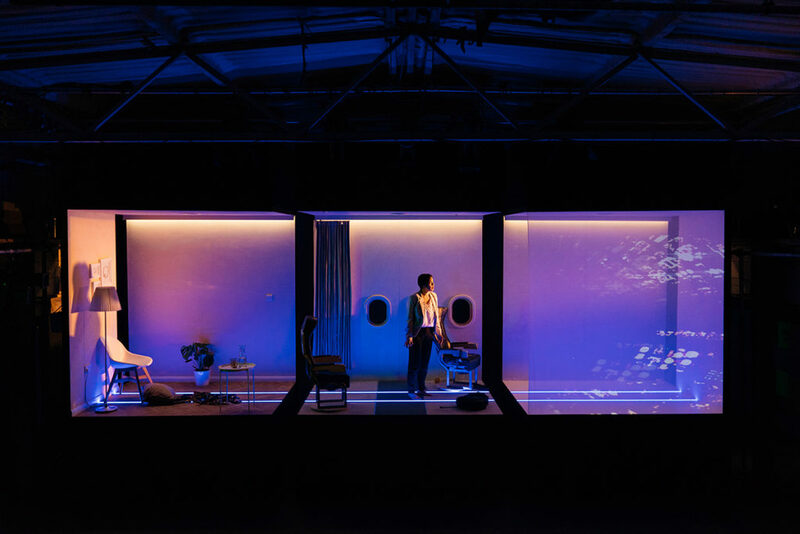 Brad Birch’s latest play examines grief, loss of control and connection, via a well-crafted descension into surrealism, though for me this could’ve begun earlier, as this is where the play really comes into its own. Too much of the piece feels like a waiting game and risks feeling one note at points. Wendy Kweh plays Lisa in this one-woman piece. She delivers a fantastically strong performance, committed and full of mounting anxiety, creating the other characters around her with skill and precision. The design is visually and conceptually stunning, however it is not used to its full potential. The projections feel underused, and inconsistent in their design. They lack a feeling of cohesion. The lighting design (Joshua Gadsby) feels unsubtle, the changes too obvious. Max Pappenheim’s soundscape, which accompanies the show via our headphones, works really well predominantly but the whispering vocals add an unnecessary touch of melodrama to what is otherwise a very genuine and relatable situation. A Kettle of Fish is a brave and exciting production directed by Caitlin McLeod, that plays with how we experience theatre in a really interesting way, but doesn’t succeed in using these features to their full potential within the piece. The writing and the production are carried by a stunning performance from Wendy Kweh.